None - have to settle for 3 nieces, 3 great nieces, and 2 great nephews, and a bunch of dolls. Heck, More…a husband is a child who needs lots of babying. Oh, yes, and since, I sell dolls and have a large collection, I have far more than I can count. I gave up trying long ago. Never had children. My brother, two sisters, nieces, great nieces, and great nephews still live in Macon area, and I still have aunts, uncles, cousins in North Georgia, South Carolina, North Carolina, and other parts of the Southeast. I also have close family members in Connecticut and Vermont. I sure hope I can attend the 50th reunion if no other, but I do not know since I will be in Georgia probably late April to early May in 2014 for my niece's wedding. Hard to believe! I live in Orange, CA, which is approximately 7 miles from Disneyland in Anaheim. This is in Southern California, around 50 miles south of Los Angeles and very different. I still have a business selling collectible dolls mostly through my websites and Ebay store, but also at a mall space in Old Town Orange (Orange Circle Antique Mall at 118 S. Glassell St. - Some of my items are displayed in Space 92 downstairs there). 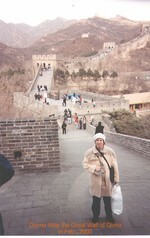 In 2000, my husband and I travelled to China on business, but we did take a few days to site-see. We went to Hong Kong, the Forbidden City, the Great Wall, and the Ming Tombs. That was unforgettable for me. At that time before the Olympics, some of Old China still existed. I have heard that it is vastly different now with traffic jams and all. I have a Facebook page and would welcome friends from the class of 1965. Send me a message with your email address and you will be invited to join. I did visit Macon briefly in early May, 2014 to attend my niece's wedding (it was on Jekyll Island). Our old alma mater is a ghost school like an empty castle. Some things I like to remember are singing in the chorus in the 10th grade, working on the school newspaper, a greatly loved American History class the first year a young teacher (Mrs. Nancy Anderson) taught and she was also one of the newspaper advisers. I guess I've had a lifelong love of History, considering how far I've gone in that subject. I will look at my year book and try to remember. I will never forget being in Geometry class with Miss Simpson and it being dismissed the day President Kennedy was shot. We were all pretty shocked at that, and it did not quite seem real until I got home. I remember the field trips as the senior trip to Ida Cason Calloway Gardens and riding a bicycle all the way around that place with Miriam Anne Glover and enjoying every moment of it. I remember Miss Hargrove running out to run off some boys who came on campus and they all ran away as fast as they could when they saw her coming. I can't remember why they were coming on the grounds. I also fondly remember French and American Government classes. I was able to meet the foreign language requirement for my PhD without taking any classes and just reading on my own based on what I learned so many years before. I remember singing "One Hundred Bottles of Beer on the Wall" and actually finishing the whole song on one bus ride there at Miller. Yes, I sang all of it, every word. That is an activity I've never cared to try again since; I don't know if anyone much ever sings that song completely through but a number of us did. Poor bus driver, teachers, and whoever had to listen! Donna Dondes Krug has a birthday today. Donna Dondes Krug posted a message. Happy Birthday. I do remember you well. I used to love your contributions to the HomeEc Family Living class in the 12th grade. I am married and in Orange, CA (immediately east of Anaheim). I run an internet collectible doll business and am sort of retired. I have been married for almost 50 years, but no children. I ended p with a PhD in History from the University of Calif., Irvine and taught in Virginia for 3 years, but came back and did the financial side of my husband's industrial design corporation and ran my own business. I am semi-retired and work at a slower pace now. I have been in Calif. since 1974 (originally in the San Fernando Valley, but in Orange County since 1980), and in the Petersburg area of Virginia between 1990 and 1993 during the school year. Hard to believe so long has passed. Happy Birthday and mant blessings. Thank you Gena and others. I did have a wonderful birthday with great weather yesterday. It was quiet, but that was a blessing. I am still in far away Southern California. 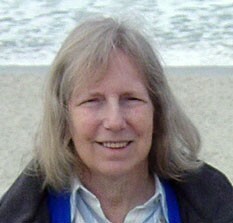 Donna Dondes Krug has left an In Memory comment for her Profile. Wishing you a happy birthday and many blessings from faraway California. I see you are in Florida. Wishing you a happy birthday, good health, and many blessings. I am still in Orange, CA. It is very sad that Brenda Wright-Ledbetter is no longer with us, isn't it? I enjoyed keeping up with her on Facebook and suddenly she was no more. Hope all is well. From grade school I remember Brenda with great fondess. She will be missed, as she was kind, honest, loving, and fun loving. I pray for her family who must be in shock by the suddeness of everything. It was a joy to reconnect via Facebook for the past several years, until the posts stopped about 2 days before her passing. The world was a better place with her part of it. Her light did shine. 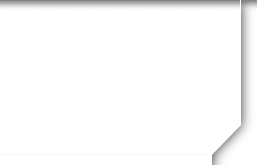 Donna Dondes Krug posted a message on Gena Pittman's Profile. Wishing you a happy and blessed birthday. You certainly bless the class of 1965 by that wonderful website. Thank you. Wishing you a happy birthday and many blessings from faraway southern California, where I have lived since 1974, though at a different location the first 6 years. Wishing you a happy birthday and many blessings today and all year through. Donna Dondes Krug added a comment on her Profile. Donna Dondes Krug updated her profile. View. Just wishing you a happy birthday and wonderful and blessed year. I was in Macon in May briefly in May after my niece's wedding on Jekyll Is. The old high school is a ghost castle, but some things have improved like Tatnall Square Park. I am still in Calif. I hope you like TX. Here I am with my husband, John, at the formal night on a cruise between Los Angeles and Ensenada, Mexico, in Oct. 2007. Here I am on Feb. 18, 2000, atop the Great Wall of China. We took a break while traveling in China on business. It was quite cold there with patches of snow on the ground.